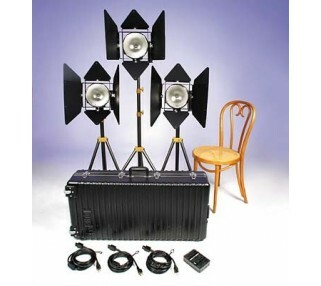 Perfect for the field or any video shoot, this kit contains 3 Omni barn door lights and stands. Very versatile light kit for field shooting, this video lighting kit rental has the essential elements to light subjects. Wide focusing range make them great for key or back lights.